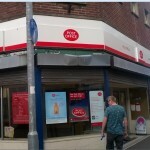 After a weekend of uncertainty and pressure from all sides, Bridgwater’s Eastover Post Office has been given a stay of execution and has re-opened with everyone involved pledging to work together to maintain the service. Town Clerk Alan Hurford who has been on the case on behalf of Bridgwater Town Council, said “‘With valiant efforts all round, the Post Office has reopened and BTC with partners will continue to work towards a permanent long term solution”. Tory councillors were divided on the issue with Cllr Gill Slocombe (Bridgwater, Wyndham) supporting ‘more detail’ whilst warning of ‘health issues’ relating to the effects of using solariums and Cllr Janet Keen (Con, Highbridge) saying she “would support the change of use”. 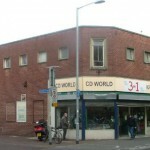 The Development committee agreed a motion to defer a decision until a site visit had taken place.